Cristina began creating costumed figures in the US, where she lived for 12 years, working as a scenic artist. 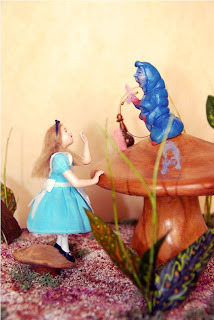 There, she produced a variety of characters from 12 inches tall up to life-size, selling them at professional shows and through specialized art galleries. 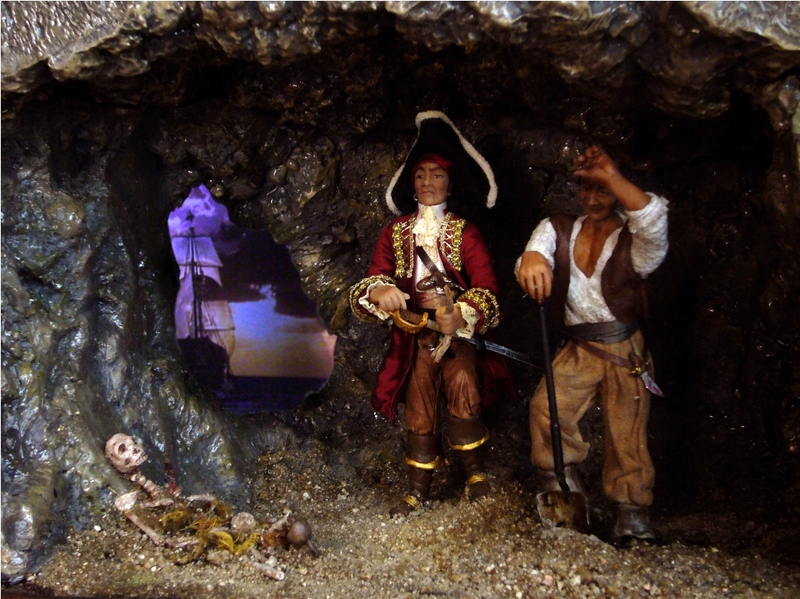 But when she moved back to Madrid, her hometown, she found that collectors were more interested in miniature rather than larger figures, so soon she started her first collection of 1/12th scale characters and scenes. All of Cristina's miniatures are original creations sculpted in polymer clay over wire armatures without the use of any moulds or patterns. So each piece is a one-of-a-kind creation made entirely from scratch. As a profound admirer of Romanticism, Cristina reflects in her dolls a mix of melancholy and sense of humour, which beyond their rich and colourful appearance, always keep a pleasant surprise for those who get closer and observe the expression on their faces or the delicate details of their clothes. Each doll has its own personality and a story to tell us. Whether it's a realistic character or a fantasy scene, naturalism and movement always distinguish her artisitic style. Each costume is carefully draped and wrinkled to accompany the position of the figure, and so so furniture and accessories are also handcrafted or modified to perfectly fit the scene. "Making character figures has become one of my true passions. 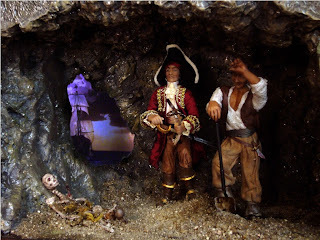 When I create dolls and scenes, I can incorporate many of the techniques I use in scenic construction, only in a smaller scale. 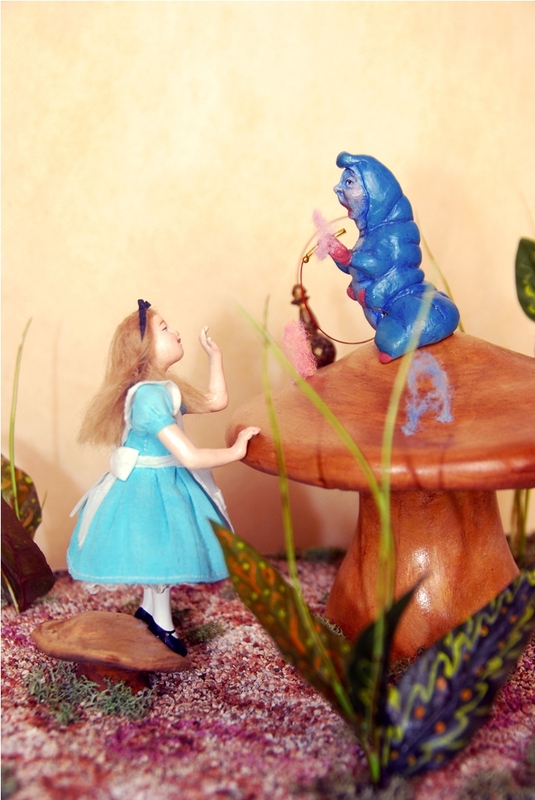 It is incredible how many artistic possibilities you can find in the field of miniatures!"